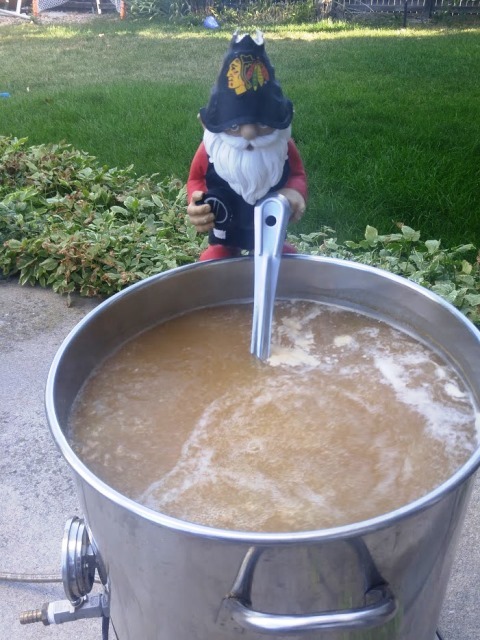 Perhaps you remember the story of "Gretchen" and the things I tried to make a decent "Gluten Free" beer for her. 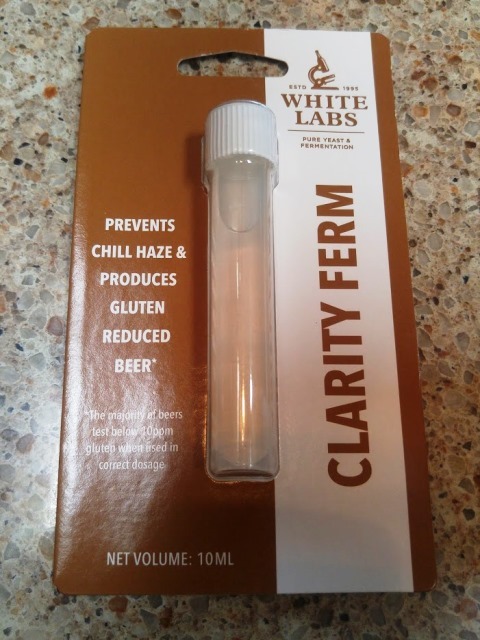 Eventually, I ended up on White Labs' Clarity Ferm, which is an enzyme designed to eat haze-generating proteins from beer. 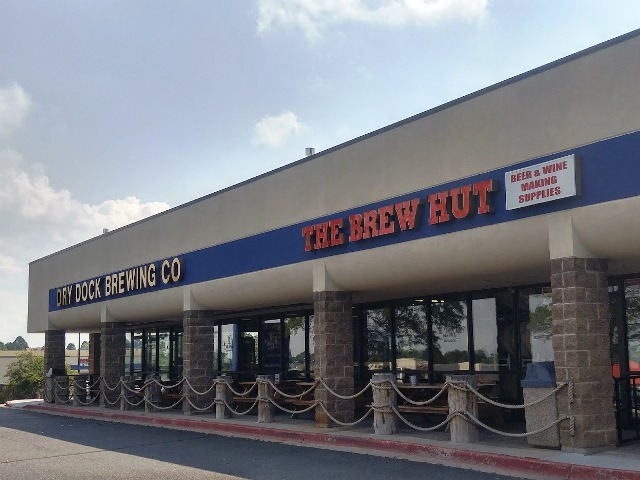 It has the side effect of breaking down gluten proteins, making beers gluten-free. The first beer I really tried this with was Laser Salt Sandy Blonde Ale. I first made Laser Salt in May of 2012 with the intention of bringing it on a group camping trip to Great Sand Dunes National Park. "Gretchen" and another Gluten Sensitive person agreed to be testers of the beer. 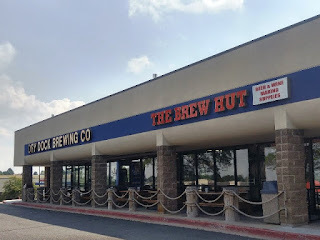 Apparently, as advertised, neither test subject reported any reaction to the beer. They were extremely happy and amazed. 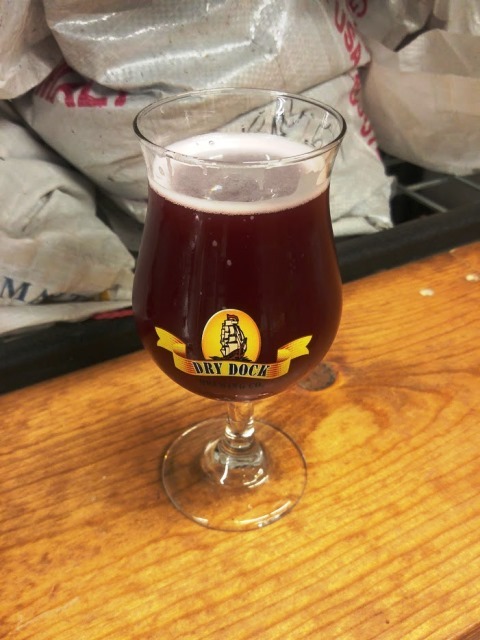 "Gretchen" has nick-named Clarity Ferm "The Gluten Killer". I call the beer a "Blonde Ale", although I think it is a little more hoppy than I usually consider American Blondes. It may be more of a pale ale, although it isn't quite as hoppy as I usually like my pale ales. It is what it is. Pretty delicious. 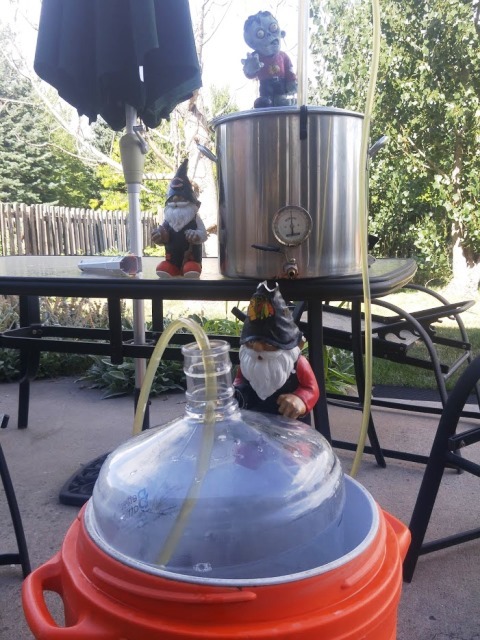 I decided to brew another batch, and got the ingredients last week. 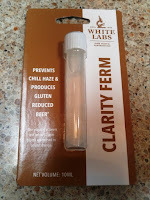 I actually forgot the Clarity Ferm and had to stop by my other LHBS Friday to pick up that one ingredient. Because of an article on the Homebrew Academy's Blog, I have decided to try using a mesh grain bag on my batches for awhile. (see Should You Trade in Your False Bottom for a Mesh Brew Bag? ), This is actually a technique I use when I make batches that I think might have a problem with a stuck mash. 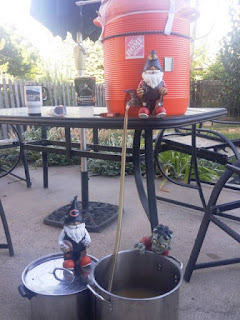 I also use it in my smaller mash tun. The article suggested using it all the time to save on clean-up. I am trying it out. 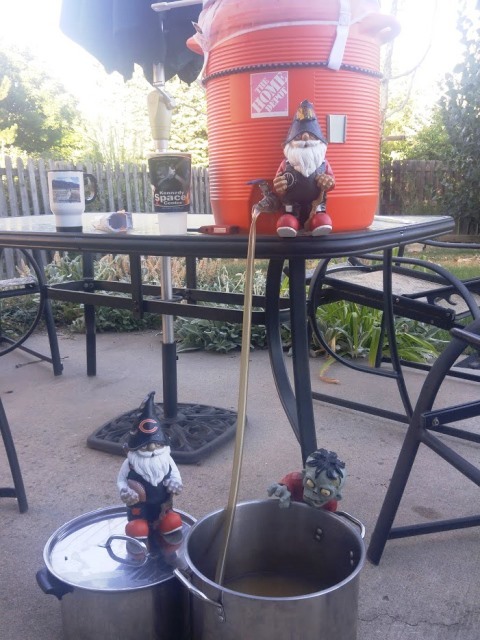 The brew day went very well. Nothing negative happened. The mash went great. The boil went fine. The OG was a bit low, but not low enough to be concerned. 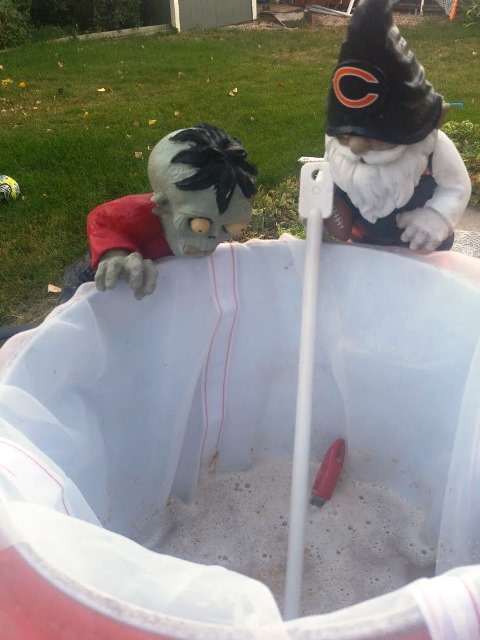 And ... cleaning up the mash tun was pretty easy. I did forget to add the Clarity Ferm at first, but did get it added within an hour of pitching the yeast. The fermentation is going today at a temperature of about 63 degrees. I should be kegging in a couple of weeks. It should be ready in plenty of time to fill up a growler or two to give to "Gretchen" when she watches our kids during the GABF weekend. As always, check out the regular SheppyBrew Channels to see what is happening with this beer (and many others): SheppyBrew's Facebook Page; Sheppy's Twitter Feed;SheppyBrew's Instagram Page; and SheppyBrew's Website. Of course, don't forget to visit this blog often as well!